Few tactics are more fun than running a waggler down a steady stretch of your local river and putting together a mixed bag of chub, roach and other silver fish. 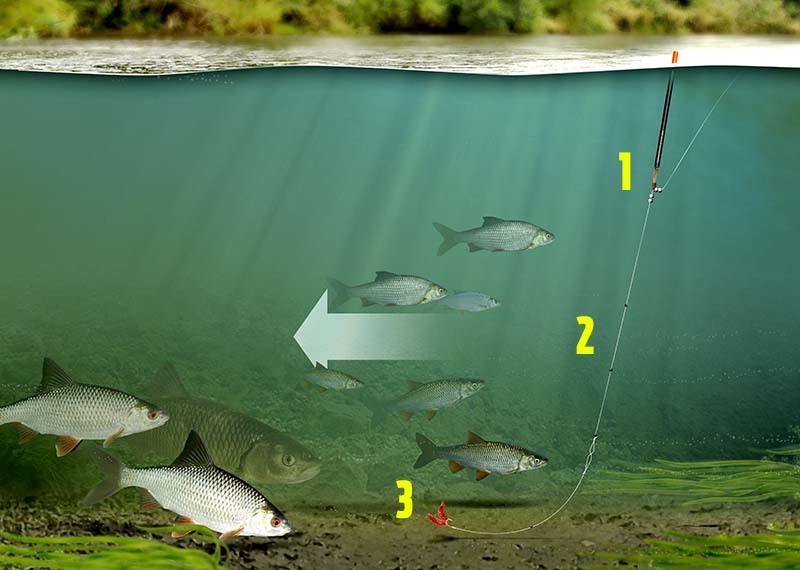 When the conditions are right this is a very successful style of angling, with fish often being caught on the drop as well as when the hookbait is tripping along the riverbed. 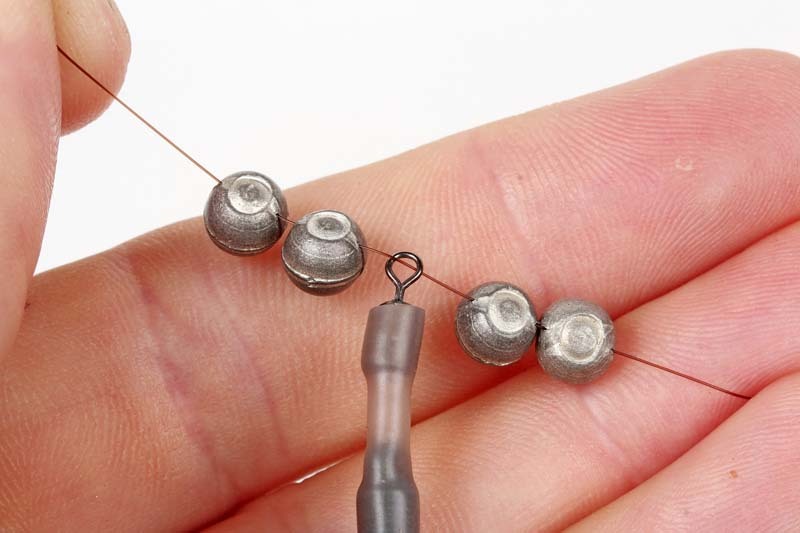 Many anglers struggle with this tactic, for two simple reasons. First, they attempt to fish like this when the wind is blowing downstream. This will make presentation very difficult, as the wind will constantly pull the float off line. The type of waggler and its shotting pattern have to be correct, too, to avoid tangles and to present a slow-sinking bait. Use a waggler with a thick, buoyant tip that resists being dragged off line or under when the hookbait catches the bottom. Spread the shot evenly to ensure a constant sinking rate and to avoid tangles. If you follow these simple steps your set-up will work effectively, giving you some fantastic sport. A float adapter enables the float to be changed quickly and offers little resistance on the strike. No6 shot set at 2ft intervals down the line help the hookbait to fall through the water at a natural speed. 1) A float adaptor like this enables you to change the size of the float and helps the float fold flat, creating less resistance on the strike. 2) Set the float at the rough depth of the swim and lock it with AAA shot. If the float is rated to 4AAA+ use four AAAs around it. 3) Tie a size 18 hook to an 18ins length of 2.5lb line. This is strong enough to tame any larger chub, yet fine enough to bring plenty of bites. 4) Attach the hooklength to the mainline using a loop-to-loop knot. 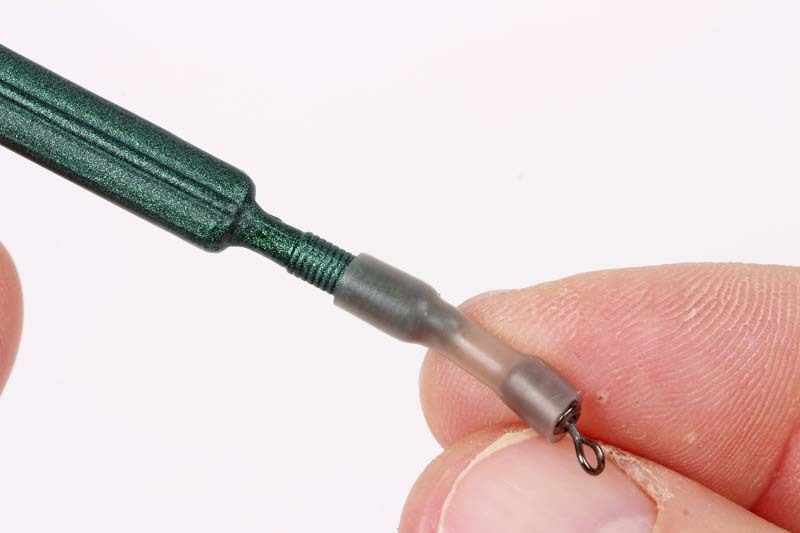 This ensures the hooklength can be easily changed. 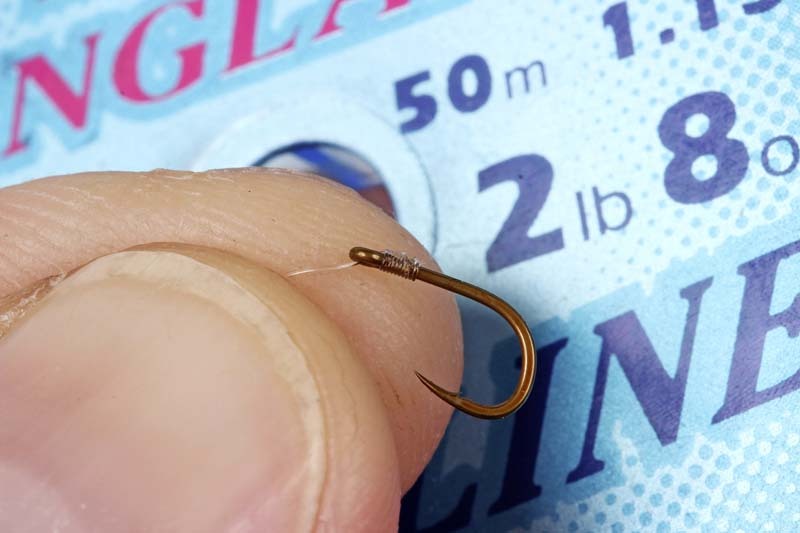 5) Place a No8 shot about 6ins above the hook. This will accentuate bites, and should be set so that it is just touching the river bed. 6) Fix No6 shot at 2ft intervals above the tell-tale shot. These straighten the line on the cast so the hookbait sinks at a natural speed.